My daughters love reading books with adventure and fantasy, and as a math teacher, it's a bonus when they learn skills like problem-solving. 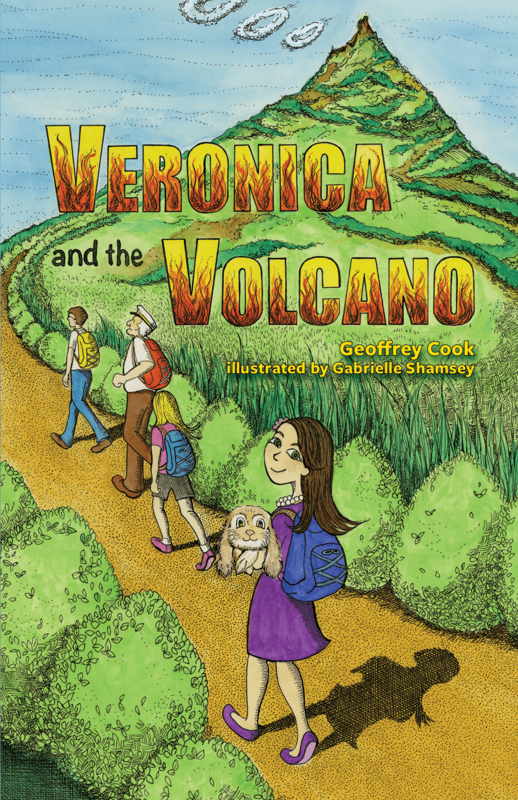 Debut children's book by Geoffrey Cook, Veronica and the Volcano, features a strong young female heroine who displays traits of perseverance, overcoming obstacles, and fun, along with STEM concepts related to the natural sciences and physics. Ten-year-old Veronica lives in a house filled with gadgets right on an active volcano. She wants to find white volcano pearls along with her father, best friend, and best friend's father. Along the way they run into a variety of adventures, and have to face the fear-mongering Man-in-White after Mount Mystery erupts. This book had stuff both my girls enjoyed - a strong and smart girl with science and fantasy for my older daughter; adventure and pirates and a girl who takes charge for my younger daughter. You can learn more at the author's website, (where you can read the introduction to get hooked) or on Facebook, Twitter, Goodreads and LinkedIn.